TORONTO, ON--(Marketwired - March 19, 2015) - The David Foster Foundation has named philanthropist and business leader Jim Treliving as honourary chair of the annual David Foster Foundation Miracle Gala & Concert, to be held at the Mattamy Athletic Centre at the Gardens in Toronto on the evening of Saturday, Sept. 26, 2015. Jim Treliving was chosen because of his long-term commitment to the health and well being of children and families and is a current board member of the David Foster Foundation, and Dragon on CBC's hit series, "Dragons' Den." Treliving, co-founder of Boston Pizza who celebrated 50 years of business last year, was honoured at the 2014 Miracle Gala as the National Business Leader of the Year. 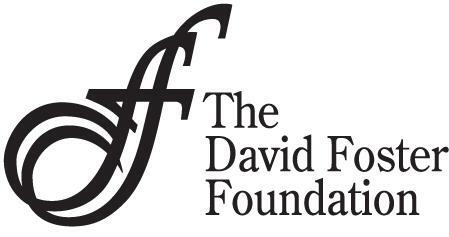 Treliving and his wife, Sandi, became a Life Legacy Member of the David Foster Foundation, donating $1 million in 2014. Additional Life Legacy Members include TELUS, the Slaight Family Foundation, the Newton Glassman Foundation in partnership with Catalyst Capital Group Inc., Tan Sri Dr. Francis Yeoh, and the Oak Bay Beach Hotel. "We're excited to return to Toronto and to hold our 2015 Miracle Gala & Concert at the historic Maple Leaf Gardens now known as the Mattamy Centre," says Michael Ravenhill, CEO of the David Foster Foundation. "Toronto has been so supportive to the David Foster Foundation over the years. We are so extremely grateful for the out pouring of support to enable us to continue financially assisting families needing life-saving organ transplants." In addition to the honourary chair, Sheldon Levy, president of Ryerson University, has been named as honourary patron -- recognized for his contributions to the education of youth through innovation and supporting entrepreneurship -- for the 2015 Miracle Gala & Concert. The David Foster Foundation has partnered with Ryerson University, Canada's leader in innovative and career-focused education. The David Foster Foundation will be providing Ryerson University students the opportunity to work alongside some of the world-class producers and musicians at this gala event. "We are excited to work with Ryerson University and to provide these opportunities to their students to help them gain exposure and experience on a world class stage," says Ravenhill. Board members Jeffrey Latimer and Walter Schneider will co-chair this year's event, joined by Stephen Green and fellow philanthropic entrepreneur Stacey Cynamon. "Our honourary chair, Jim Treliving, has strong ties to Toronto and our country so, we as a committee, welcome his insight, leadership, and expertise," says Jeffrey Latimer, 2015 Miracle Gala & Concert co-chair. The David Foster Foundation raised more than $8 million at last year's event in Calgary, AB, which was presented by TELUS and in partnership with WestJet, both long-time national partners of the David Foster Foundation. The funds raised from the annual Miracle Gala & Concert go towards the Foundation's 30 x 30 campaign, where they aim to raise $30M by their 30th anniversary in 2017. Founded in 1986 by producer and musician David Foster, the namesake David Foster Foundation supports the non-medical expenses of Canadian families with children undergoing life-saving pediatric organ transplants. The annual Miracle Gala & Concert is built around a star-studded evening featuring Foster and a collection of his musically gifted friends. Last year's Miracle Gala & Concert in Calgary, AB saw Foster joined by Steven Tyler, Kenny "Babyface" Edmonds, Jennifer Hudson, Jackie Evancho, and David's wife, Yolanda Foster along with the cast members of Bravo TV's, The Real Housewives of Beverly Hills. The much-needed funds provided to the David Foster Foundation help to cover non-medical families' expenses, which range from gas and groceries to mortgage, rent, car payments, and travel. The average cost to support one family for a year is $10,000, but this can reach upwards of $100,000. Often, families have to travel away from home and set up temporary housing close to one of the pediatric transplant hospitals in Canada. Since its inception, the Foundation has worked to assist 1,000 families across Canada. 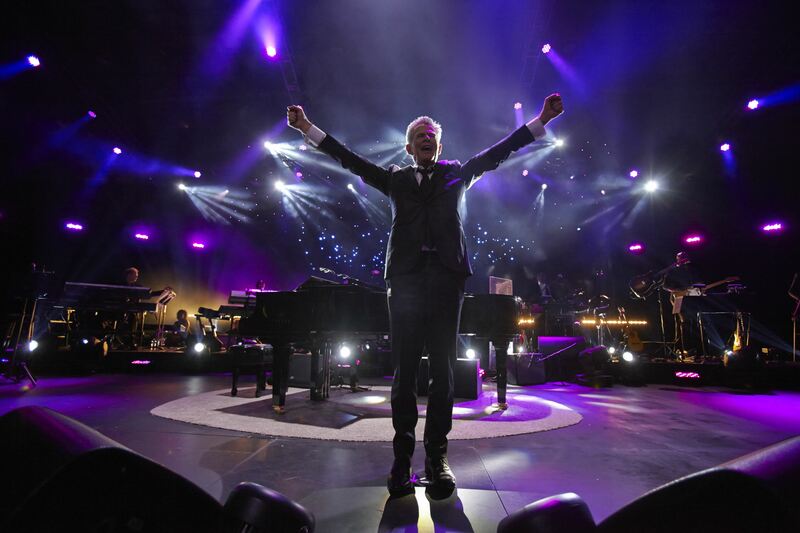 The 2015 David Foster Foundation Miracle Gala & Concert is presented by TELUS in partnership with WestJet. Generous support for the event is also provided by Miracle Maker Sponsor, CIBC Children's Foundation; Luxury Sponsor, Bedat & Co.; and Red Carpet Sponsors, Boston Pizza and Navacord. Tables of 10 for the David Foster Foundation Miracle Gala & Concert are available for $30,000 and $20,000 and may be purchased through the Foundation's offices directly. For inquiries, please email gala@davidfosterfoundation.com. In addition to table seating, more than 3000 seats in the arena stadium will be available for individual purchase. More information on stadium ticket prices and how to purchase will be announced soon. To learn more about the David Foster Foundation and the 2015 Miracle Concert & Gala, visit www.davidfosterfoundation.com. David Foster is a proud Canadian, Recipient of the Order of Canada, Officer of the Order of Canada, 50-time nominee and 16-time Grammy Award winner (including three for Producer of the Year), three time Oscar nominee, Golden Globe winner, seven time Juno Award winner, Emmy award winner and has the distinguished honour to have his star on both the Canadian and Hollywood Walk of Fame. He is the man behind the biggest hits, with more than half a billion records sold. Foster launched the David Foster Foundation in his hometown of Victoria in 1986. Across Canada, the David Foster Foundation financially supports families for all non-medical expenses while their children are undergoing lifesaving organ transplants. Thanks to its annual fundraising efforts and the generous support of national partners like TELUS, WestJet, Aird & Berlis LLP, Schnitzer, AMJ Campbell Vanlines, Hope Air and Deerfields Clinic families receive support for expenses incurred when travelling away from their homes to be with their child during transplant. In 2014, the Slaight Family Foundation, Newton Glassman Foundation in partnership with Catalyst Capital Group Inc., Jim & Sandi Treliving, and Tan Sri Dr. Francis Yeoh joined the Oak Bay Beach Hotel and TELUS as the Foundation's $1M Life Legacy members.